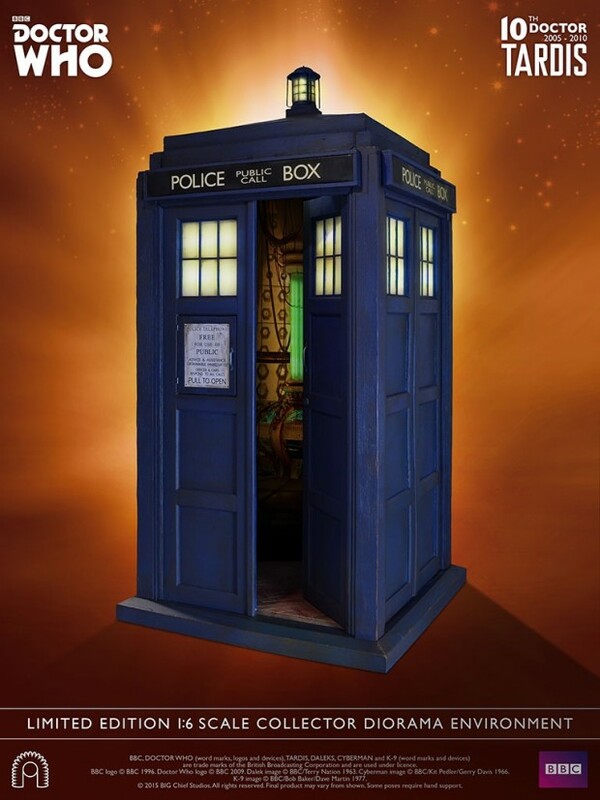 This 1:6 scale version of the Tenth Doctor’s TARDIS is awesome. It will have to do until I get my full scale TARDIS out of the shop. 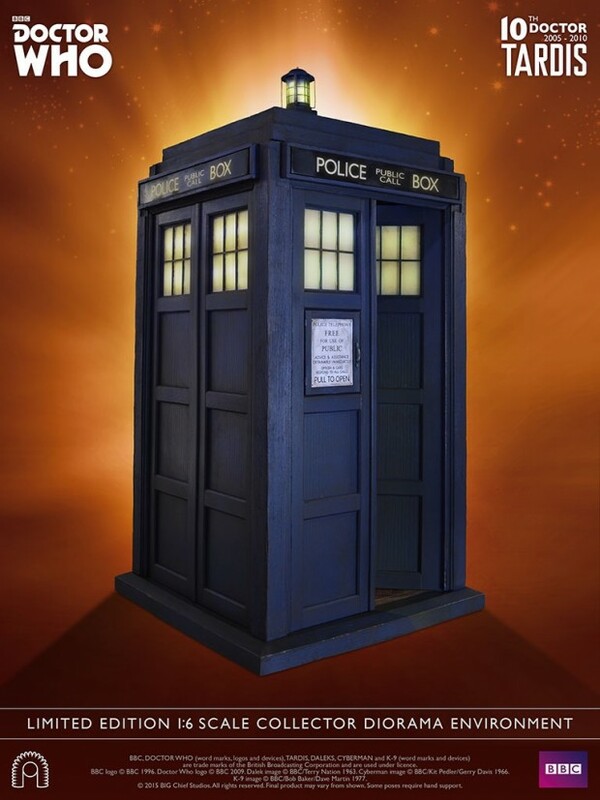 This replica is about 20″ tall and is made to go with the Big Chief 1:6 scale Doctor Who figures. Of course you can also use your other 1:6 scale figures. 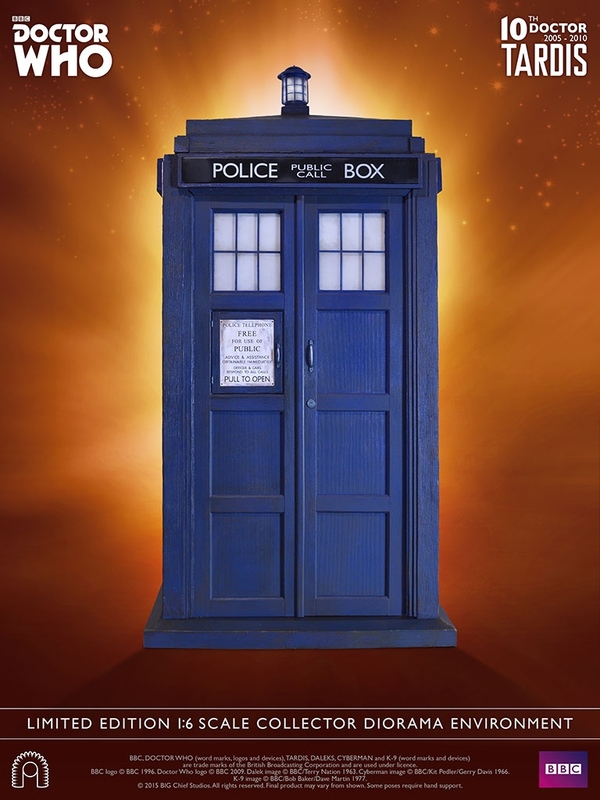 This is THE TARDIS for your figures. Period. End of story! This replica has LEDs, swappable interiors, and every detail is perfect. If you order from Big Chief directly, you get a special geeky bonus too. A pair of pajamas and slippers for the 1:6 scale Tenth Doctor figure. Sweet.